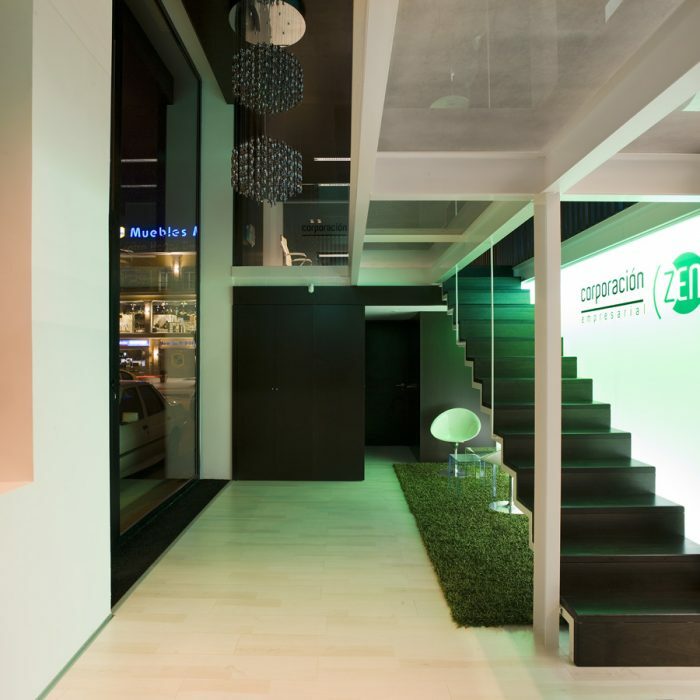 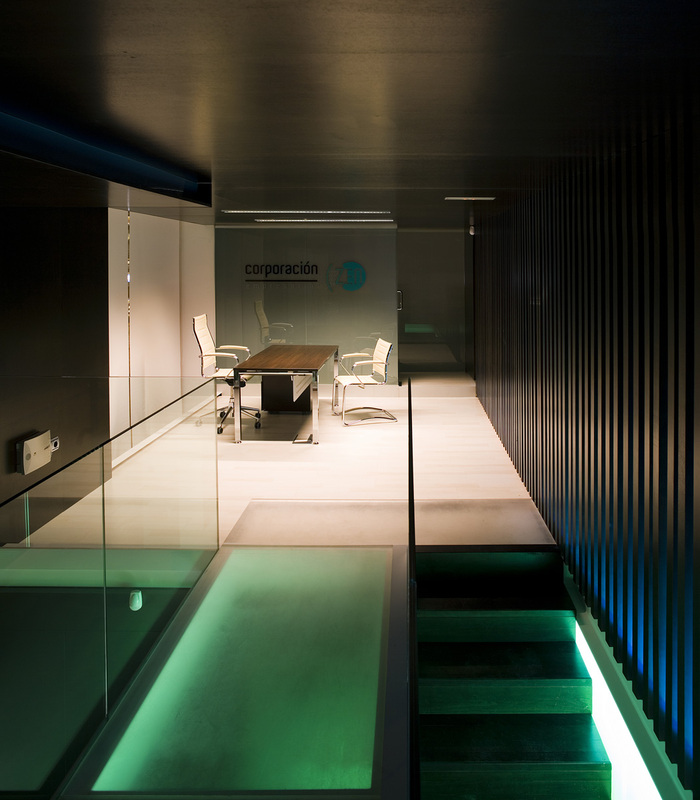 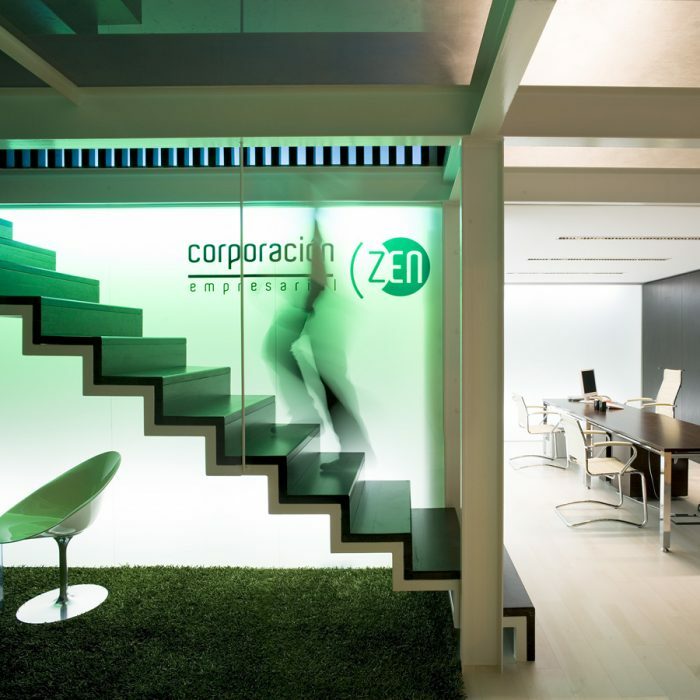 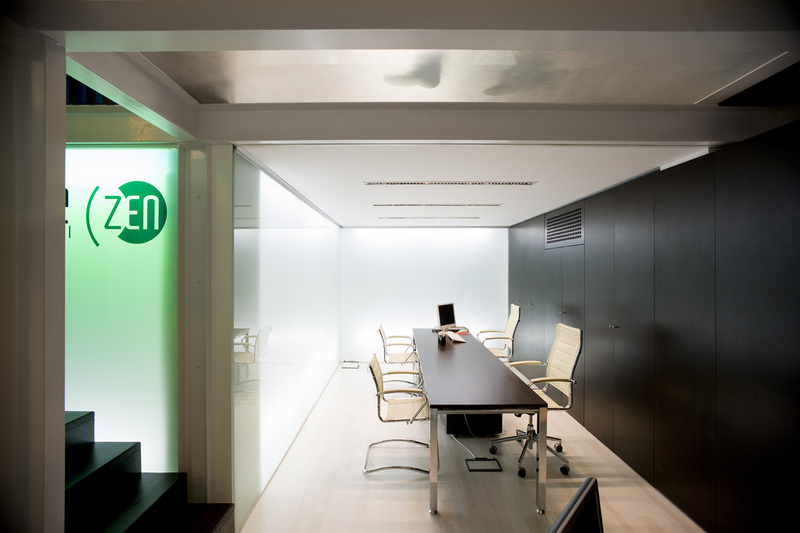 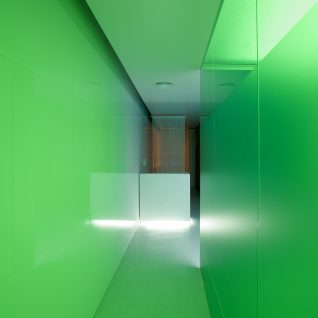 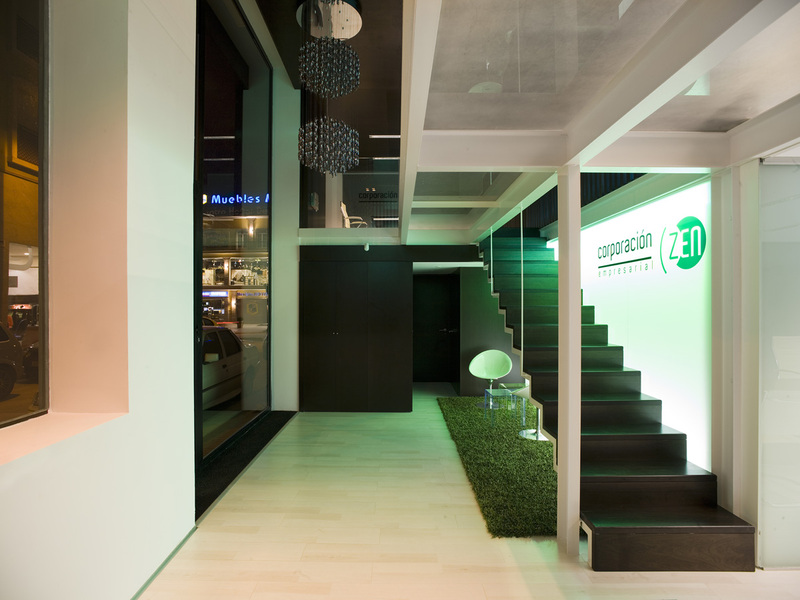 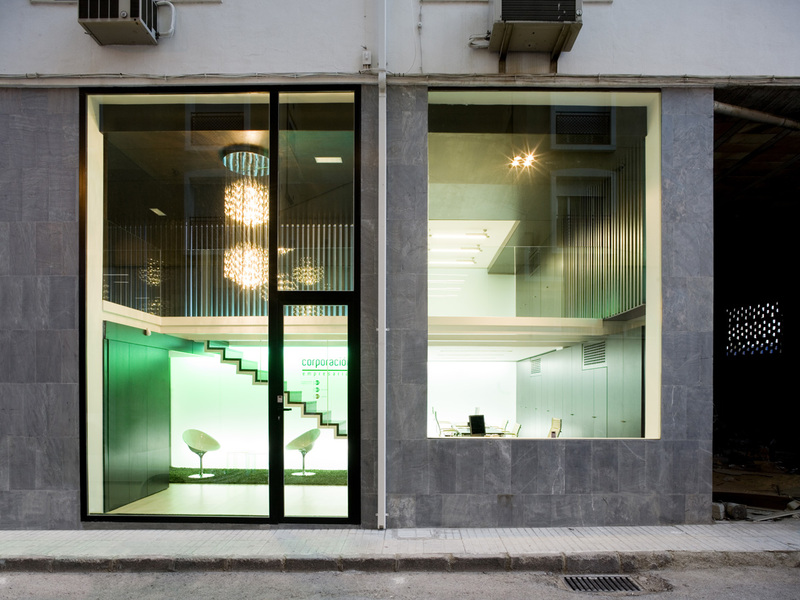 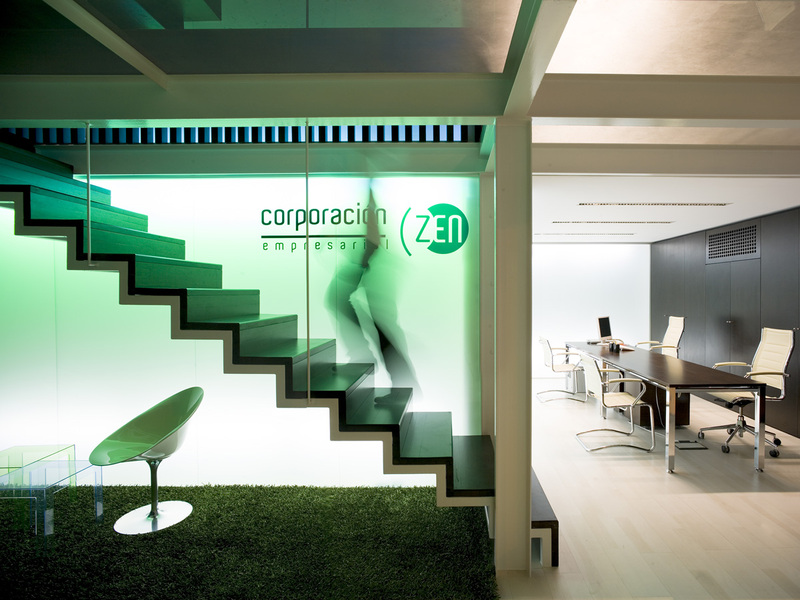 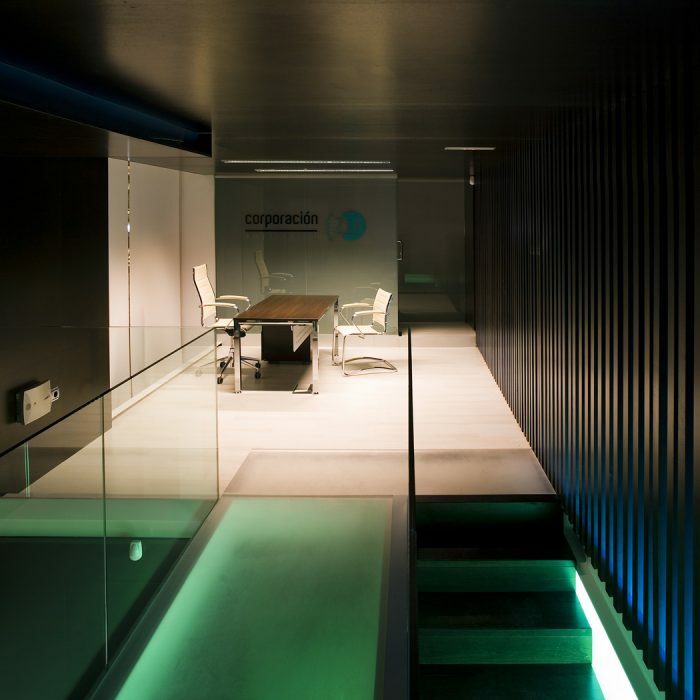 The new offices of Zen Corporation are located in a 2.5 m high L-shaped ground floor. 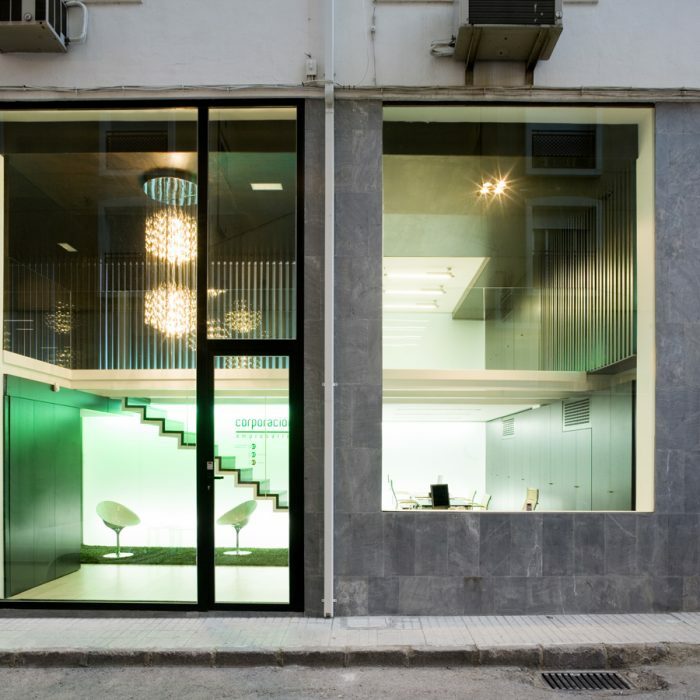 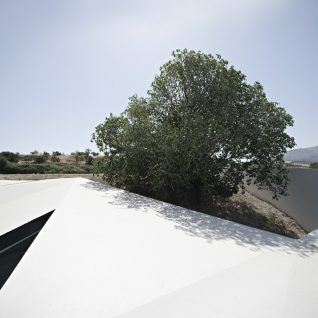 The project proposes an optimal use of the room height by including a metal framework attic strategically located and that doesn´t occupy the whole premises. 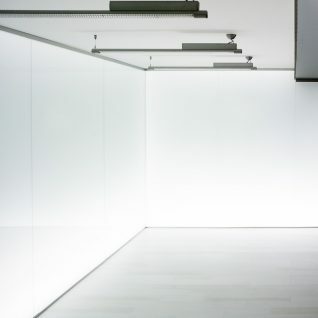 This helps defining spaces and establishing visual relations in height. 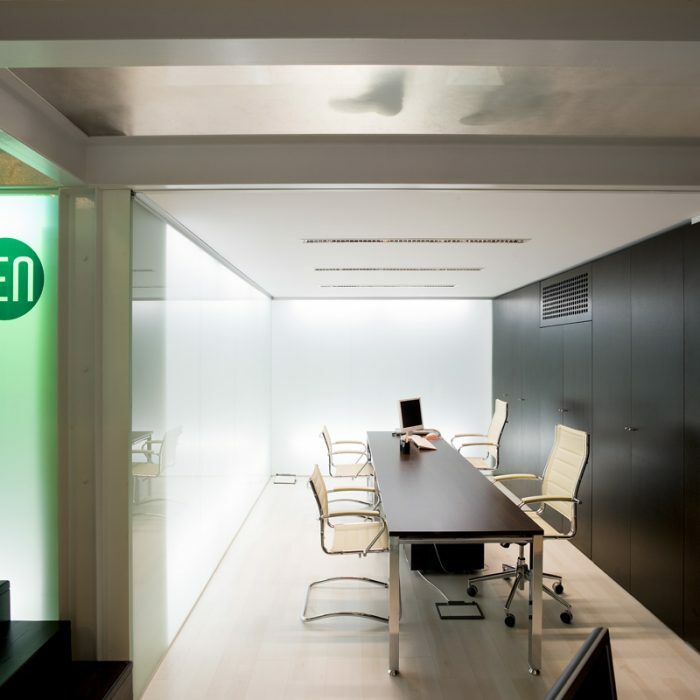 Working spaces are open-plan and visually connected through glass separators. 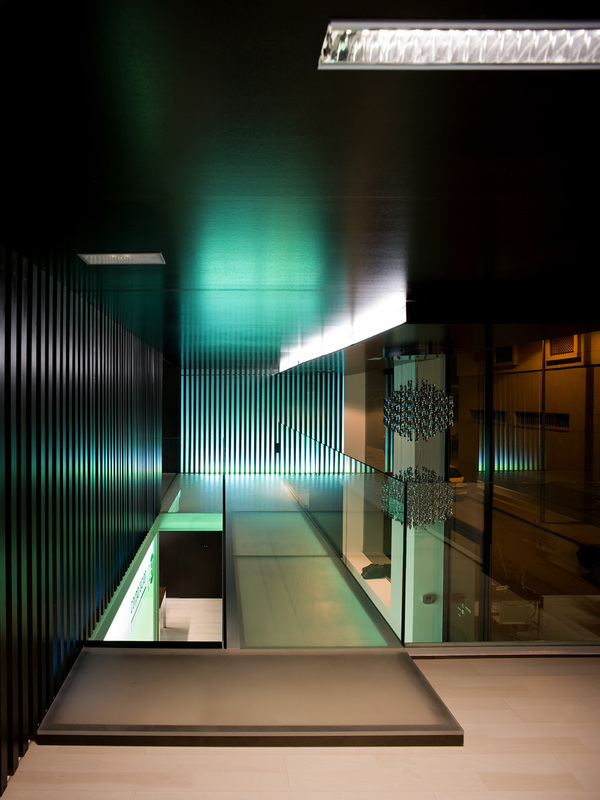 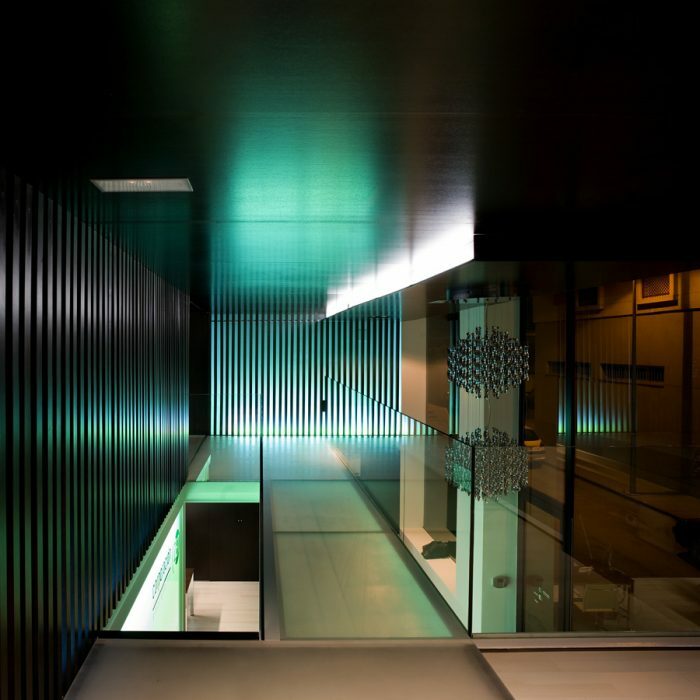 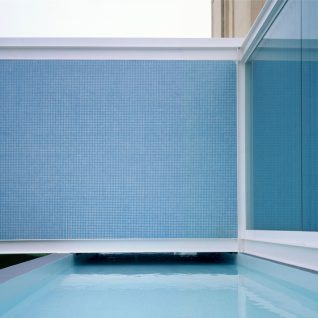 As wall finishing, a metallic structure painted in white is combined with the dark wood paneling of the furniture, tinted pinewood strips latticework and backlighted opal glass.